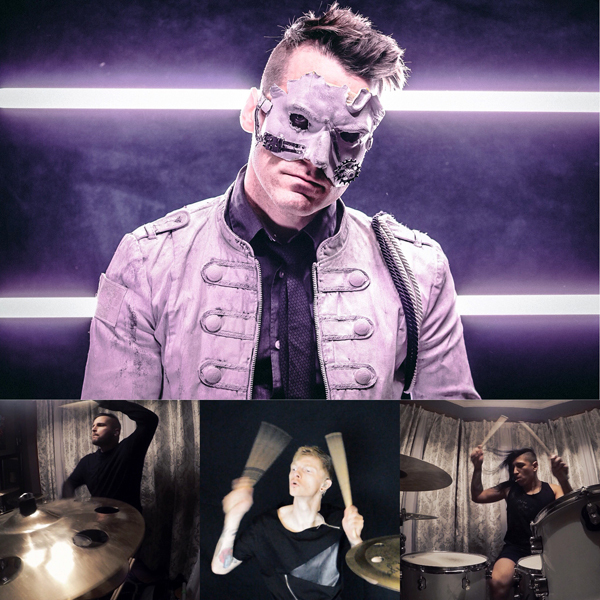 Steadily making waves with his own brand of electro/metal, Ontario based Peter Turns Pirate has unveiled its third music video off the View as Strange EP. Continuing to up the heaviness, the video for “Jaw Drop” focuses purely on the drumming as it features performances from three of the industrial scene’s most skilled drummers – Galen Waling (Lords of Acid, PIG, Julien-K, Left Spine Down), Christian Carver (Panic Lift, Bella Morte, Man1k1n), and Ben Tourkantonis (Grendel, Panic Lift); Peter Turns Pirate founder Neal Reed does not appear in the video himself, instead focusing on the video’s editing, the song a blunt force assault of punchy synth and guitar riffs, acerbic vocals, and of course, dynamic percussion. The View As Strange EP was released on March 26, 2018, with Peter Turns Pirate following Reed’s tenure as a live member for Grendel; subsequently, he took his band on the road in 2016 touring with PIG and then in 2018 with Grendel and Ghostfeeder. Reed promises more music and live shows in 2019.